Thank you to #partner @kidlitexchange for a review copy of this book. As a teacher, I adore students who are unique and not afraid to be themselves. Beatrice is the fictional representation of these students. Because Beatrice does not fit the mold of the typical student, this can get her into trouble even when her intention is sincere. Many children can relate to Beatrice and the fun story told by author Shelley Johannes. A perfect transitional chapter book which includes illustrations children will adore. A must-have for all elementary school and classroom libraries. A super cute beginning chapter book about a princess who does not want to be a princess. Instead, she wants to go to knight school and become a night. On her journey, she meets others who are not the stereotypical characters you would meet in a kingdom. 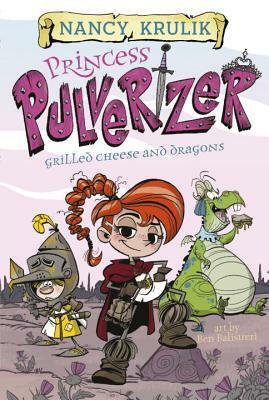 The first book even includes grilled cheese! My daughter, who is seven, absolutely loved this book. 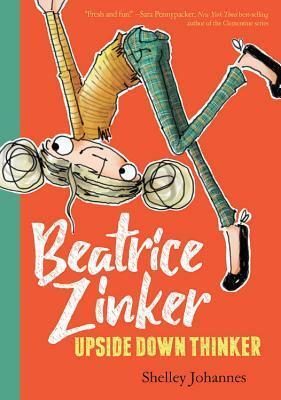 It fits her spunky personality and outside-of-the-box thinking. We are looking forward to the next books in the series. I plan on buying them for our home and my classroom library. A must-have series to include in elementary libraries. They will be read over and over again. As I spend the first official day of Spring Break planning for the rest of the year, I reflect on the survey my students kindly filled out about our classroom and my teaching. I noticed a lot of trends and commonalities, but also many differences. Many wrote they love when I use humor and suggested I use it more. My goal is to plan at least one humor related item a day. Some of my ideas include jokes, stories, silly movements, and role-playing. Students also wrote they needed more practice with math concepts. I plan on using a workshop model this spring to provide more practice time and small group instruction. Using the single point rubric to provide feedback instead of giving a grade on formative assessments was a huge success with students this winter. Students wrote they want to keep doing this and feel it helps them succeed. Finally, I noticed many individual differences which reminded me of the unique needs of each student. A strategy that works for one may not work for another. I am reminded of the importance of differentiation to meet as many needs of each student as possible. In my process of reflection, I asked my daughter today to tell me her favorite part of school (she is a first grader). Library was her response. I asked her to tell me why. She talked about books, the teacher read alouds and bringing rocks to her librarian. Rocks? Her librarian has a different theme each year, this year’s theme is rocks. She allows them to being in rocks they have found. I asked if she is funny. My daughter responded no, but said she is nice. Nice. My daughter’s last statement brought me back to the most important word in education, relationships. If a child can see that you truly care (there is no faking it) amazing things can and will happen. We have the privilege to work with children everyday. Our relationship with each one of them makes the most impact. Notice them, listen to them, celebrate with them, love them.